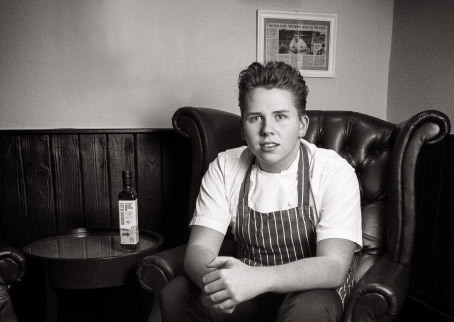 As Britain’s Youngest Head Chef, Luke Thomas started to make a name for himself early in life – and he hasn’t stopped over the years! It all started with the launch of Luke’s Dining Room in Marlow, Berkshire in 2012 and he’s been busy ever since – competing for Wales in the 2013 series of BBC2’s ‘Great British Menu’, opening Luke’s Eating House & Gin Rickey’s Bar in Chester in 2014, publishing his first cookbook – Luke’s Cookbook – which received glowing reviews, and introducing Retro Feasts to Dubai in 2015. Throughout his career, Luke has taken residence at some of the top restaurants in the world, including Jamie Oliver’s Barbecoa and three Michelin-starred restaurants such as Alinea in Chicago. Travelling and learning about food from top international chefs is an on-going aspiration for Luke, who also enjoys meeting food suppliers and producers to gain insight into seasonal ingredients, all with the aim of fine-tuning his own culinary style. But it’s not just the fantastic taste that has Luke raving about Borderfields. The fact that it’s healthy and British is also very important for him.